I was thinking about this idea of how hard it can be for a character’s voice to come out of your mouth. It should, just by reading the script, but sometimes, we can be at a loss. And I thought, how can I help you make that easier by sharing my process? Whether it’s animation, commercial copy, a quick recreation of a voice for narration, as a VO performer you’re often asked to create a character other than yourself. There’s a method I use that I learned from several masters of the craft that is almost too easy. So. How can you go about creating a character voice with ease? 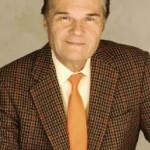 One of the people that I look up to as an inspiration in VO is Fred Willard. 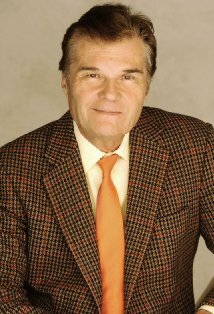 If you don’t know who Fred is, visit his IMDB page to refresh your memory. Then close that window and you’ll be right back here. Fred was on stage as part of an absolutely brilliant seminar, along with Nancy Cartwright (the voice of Bart Simpson) and the legendary Gary Owens, hosted by my friend Dan O’Day, that was extraordinary to watch. To watch these masters lay out the very secrets to their character creating success was nothing short of remarkable. And just one of the hundreds of tips that I got from this talk was what Fred said about how he sometimes creates characters: he looks back to his childhood and teen years, and remembers the friends and relatives he’d mimic, poke fun at, entertain family with and so on – people that the public wouldn’t know, but that he remembers vividly. And amongst those is often the very character he needs. Well, we all have those characters buried in our memory banks. And it’s a short shot to recreate them and their idiosyncrasies, timing, phrasing, word play and so on to use for our very own. Use them as your archetypes. By conjuring them up, and maybe tweaking them a bit, you might just shortcut to a perfect character for the script you’re looking at. If you want to be inspired by this seminar (the stuff Gary Owens has to say is worth a seminar all by itself), it’s available from Dan O’Day by clicking on this link: https://www.vo2gogo.com/get-danoday-characteractingmasters – it’s just $29, and that’s an absolute steal. More priceless insightful nuggets of creative gold! Thanks David.